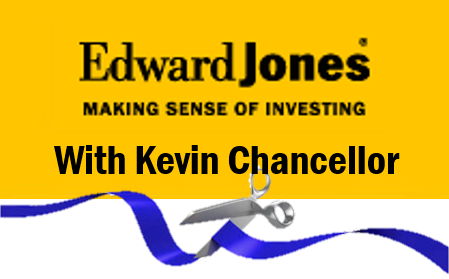 Come celebrate the Grand Opening of the new Edward Jones Financial Advisor: Kevin R Chancellor office. While the location is new, Edward Jones has been helping individual investors reach their long-term financial goals for more than 80 years. They look forward to continuing the tradition of providing face-to-face personalized service at the new location. We invite you to bring your family and friends and help us celebrate the new office! Refreshments will be served.